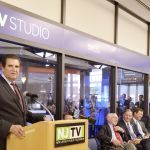 May 28, 2015 – Newark, NJ – NJTV, New Jersey’s public television network, publicly unveiled its new studio space in Newark with a formal ribbon-cutting ceremony yesterday. 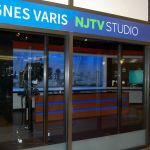 The 10,645 square-foot Agnes Varis NJTV Studio, located on the second-floor concourse space of 2 Gateway Center, now serves as the network’s television anchor studio and broadcast home to its weeknight news program, NJTV News with Mary Alice Williams. 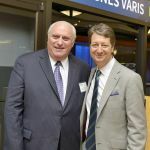 The state-of-the-art digital studio will also soon produce Michael Aron’s perennial public affairs series On the Record and Reporters Roundtable. 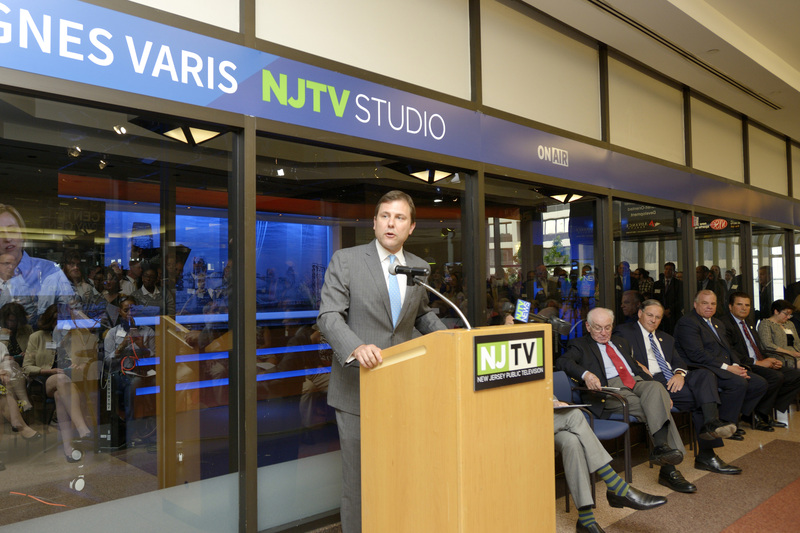 NJTV’s new location also houses staff office space as well as a community room. 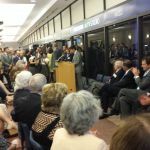 The ceremony welcomed representatives from the network, state dignitaries and public television supporters from across the Garden State. 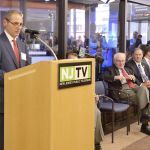 Speaking at the event were WNET President and CEO Neal Shapiro, NJTV General Manager John Servidio, NJTV Board Chairman Josh Weston, U.S. 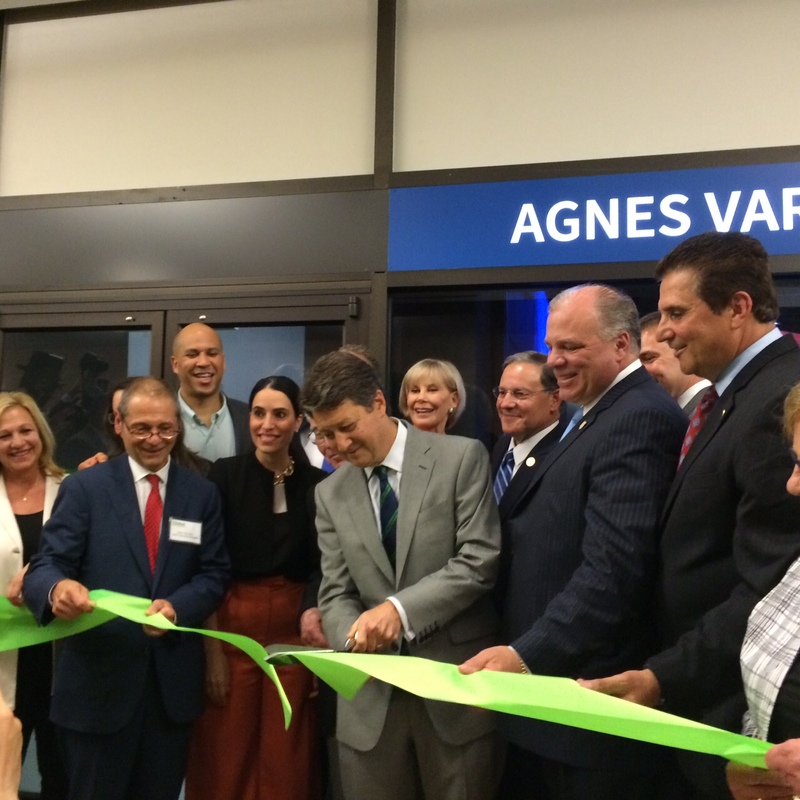 Senator Cory Booker, NJ Senate President Steve Sweeney, Sen. Thomas Kean, Assembly Minority Leader Jon Bramnick, and Essex County Executive Joseph DiVincenzo. 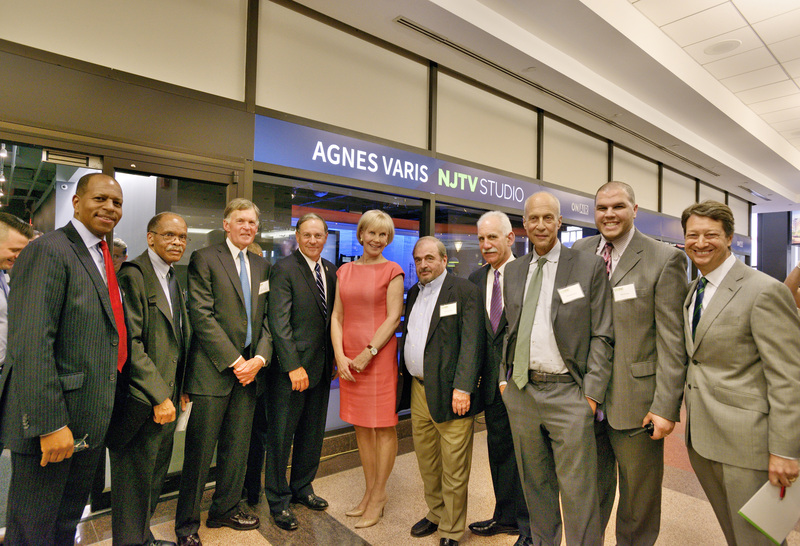 A landmark $2 million gift from the Agnes Varis Charitable Trust supported the construction of NJTV’s Newark studio. 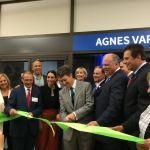 The late Agnes Varis was a self-made business leader who started her first New Jersey-based company, Agvar Chemicals, in 1975. In her lifetime, she co-founded two generic pharmaceutical companies, Marsam Pharmaceuticals, Inc. and Aegis Pharmaceuticals. She also spearheaded several philanthropic endeavors. 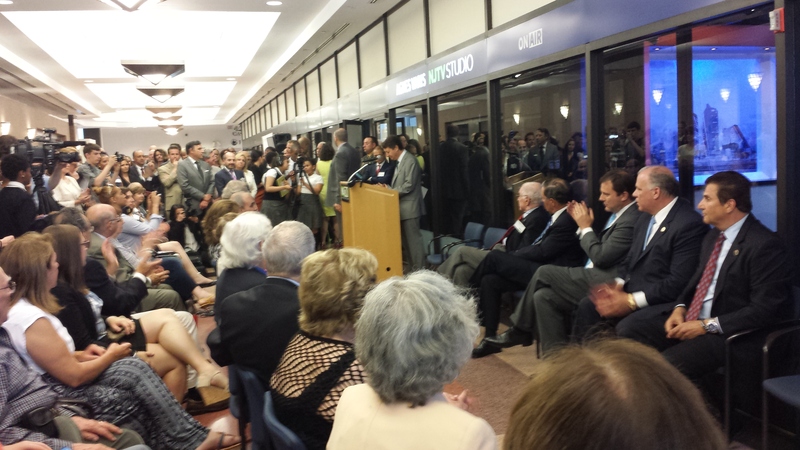 NJTV has received two other substantial gifts in support of the new space. A gift of $300,000 was given by Josh and Judy Weston. 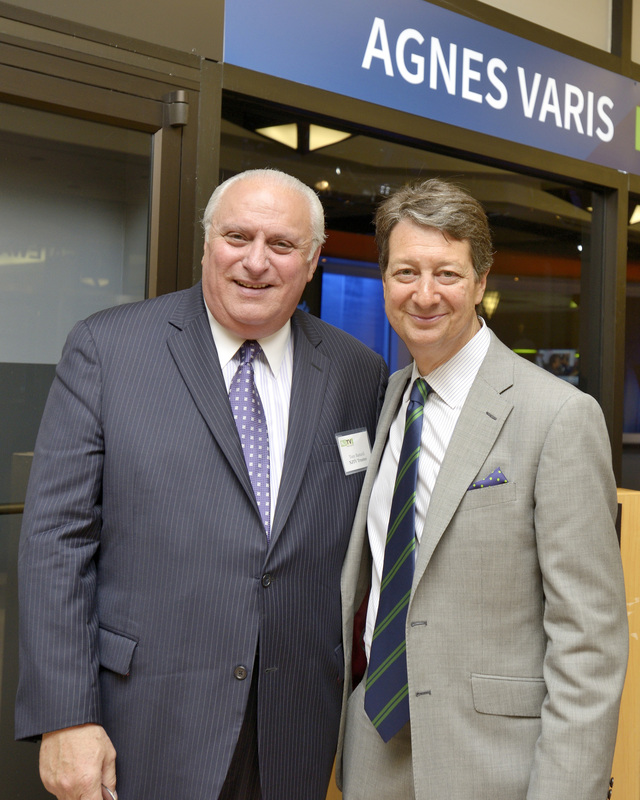 Mr. Weston is the honorary chairman of ADP and serves as NJTV’s board chairman. 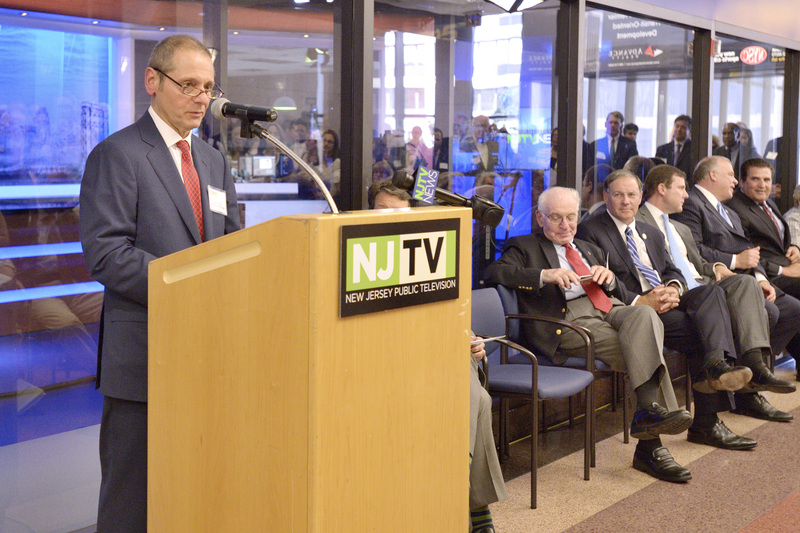 NJM Insurance Company’s $250,000 naming gift will support the community room, which will become the focal point for NJTV’s community engagement efforts and will be used for hosting public events and program productions. 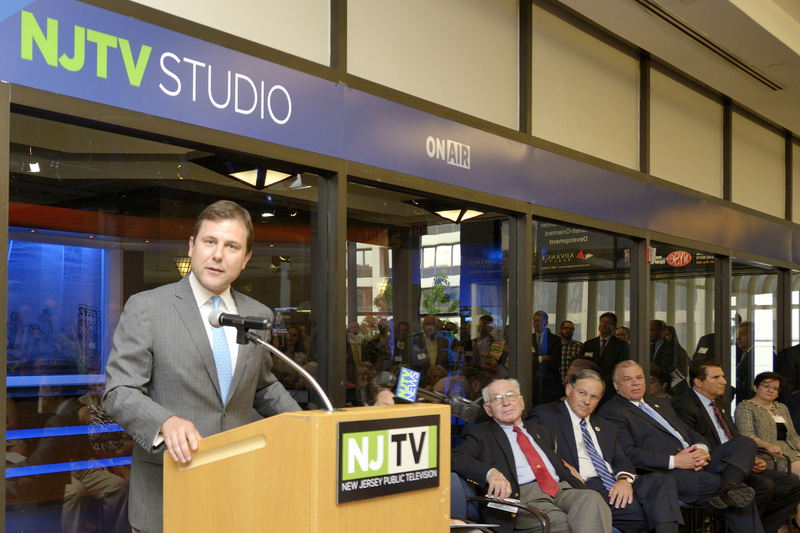 NJTV, which launched in July 2011, delivers news, commentary, and documentaries to communities throughout New Jersey and the tri-state area both on-air and online. 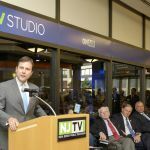 The network, with broadcast reach that extends to all 21 counties in the Garden State and parts of New York, Pennsylvania and Delaware, will utilize the Newark broadcast hub in conjunction with its Trenton Statehouse studio and remote cameras at university content bureaus across the state to provide its weeknight newscast and other live specials. 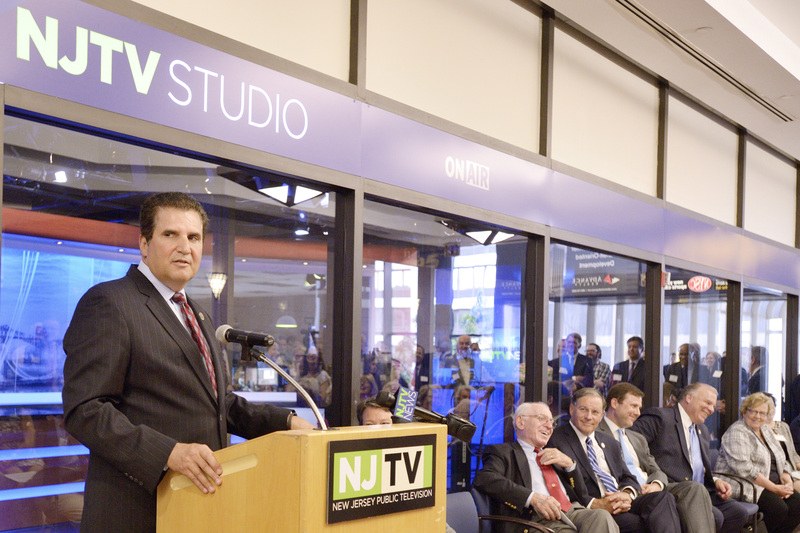 NJTV, the non-profit affiliate of WNET, parent company of the award-winning THIRTEEN and WLIW21 stations and itself a non-profit, selected 2 Gateway Center for its anchor studio for its location and infrastructure. 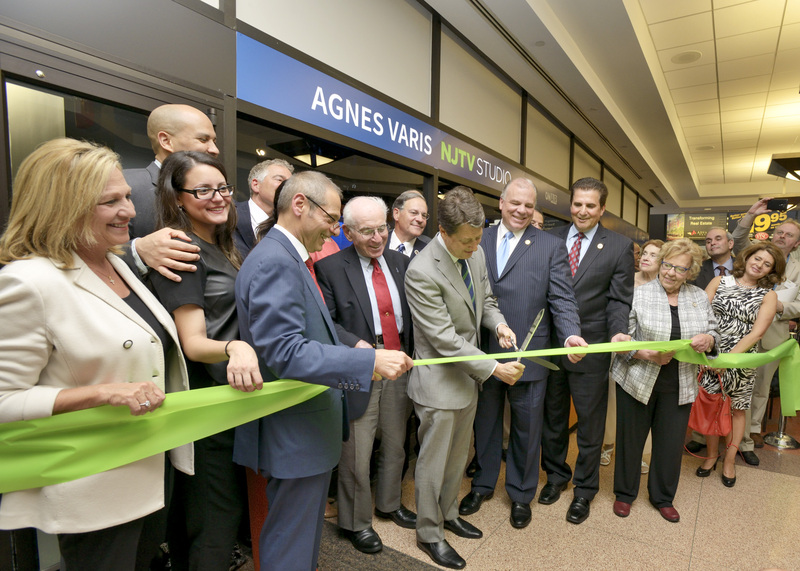 Part of Newark’s 2.6 million-square-foot Gateway Complex, 2 Gateway Center is centrally located in the city’s downtown business district along Market Street between McCarter Highway and Mulberry Street. Among its many benefits, 2 Gateway Center is connected to an enclosed pedestrian walkway leading to Newark Penn Station, where commuters can access NJ TRANSIT, PATH, Newark Subway, Light Rail, and AMTRAK lines. It is along this walkway that NJTV has its studio, where 15,000 people pass every day. 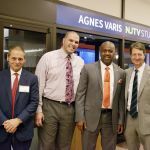 NJTV has a growing relationship with the city of Newark, having partnered with the New Jersey Performing Arts Center on special programming like American Songbook at NJPAC and The Midtown Men Live in Concert! 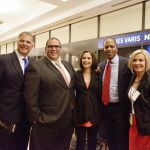 Other independently-produced programs that air on the network like Conversations at NJPAC with Steve Adubato and Due Process are also taped in Newark. 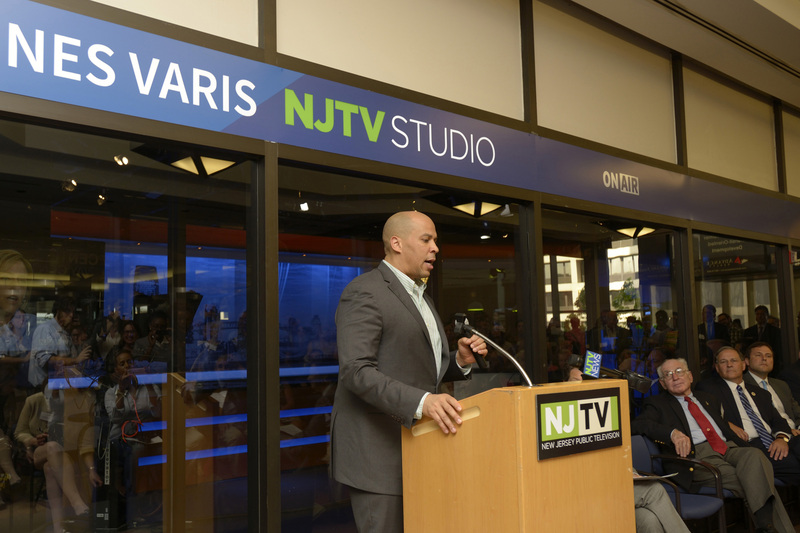 NJTV, New Jersey’s public television network, brings quality arts, education and public affairs programming to New Jersey and its tri-state neighbors. NJTV presents such acclaimed PBS series as Nature, American Masters, Charlie Rose, and BBC World News America and a range of documentaries and children’s programs. 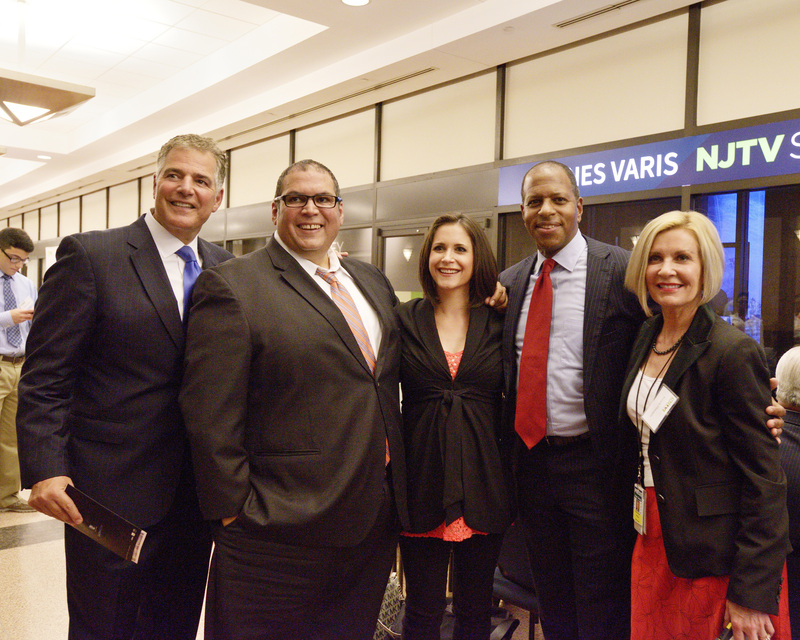 NJTV offers an array of local news and cultural offerings on air and online including American Songbook at NJPAC, On the Record with Michael Aron, Driving Jersey, NJDocs, Due Process, One-on-One with Steve Adubato, Classroom Close-Up NJ and State of the Arts. 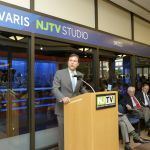 The network’s flagship news broadcast, NJTV News with Mary Alice Williams, features stories from across the Garden State. 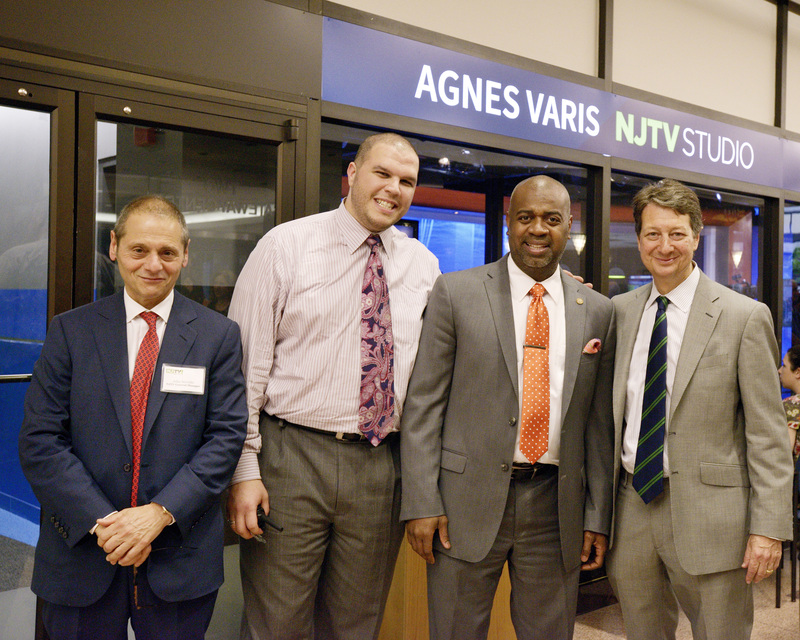 NJTV complements its growing news staff by partnering with state-wide media and higher education institutions. 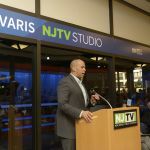 NJTV is also a leader in connecting with viewers on emerging platforms, including the NJTV website where users can stream programming and educators can find free, classroom-ready, digital resources. 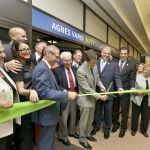 Part of Newark’s 2.6 million-square-foot Gateway Complex, 2 Gateway Center is centrally located in the city’s downtown business district along Market Street between McCarter Highway and Mulberry Street. Among its many benefits, 2 Gateway Center is connected to an enclosed pedestrian walkway leading to Newark Penn Station, where commuters can access NJ TRANSIT, PATH, Newark Subway, Light Rail, and AMTRAK lines. Tenants also have access to a wide array of on-site amenities, including a fitness center, banking facility, café and conferencing center. 2 Gateway, which received New Jersey’s first WiredScore’s Platinum certification for best-in-class infrastructure and connectivity, is currently marketing leasing opportunities ranging from 3,000 to 360,000 square feet of ready-to-occupy Class A office space. For leasing inquiries, contact Dudley Ryan at (973) 437-2083 or by email at Dudley.Ryan@cbre.com. A self-made woman and daughter of Greek immigrants, the late Agnes Varis was a legendary business leader who started her first NJ-based company, Agvar Chemicals, in 1975. 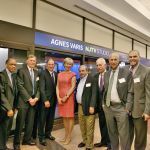 A graduate of Brooklyn College, Dr. Varis co-founded Marsam Pharmaceuticals, Inc. and Aegis Pharmaceuticals, both generic pharmaceutical companies. An ardent supporter of women’s issues, animal welfare, and accessibility to the arts and healthcare, Varis was honored with an honorary doctorate for social service from Tufts University in 2003, and in 2010 was appointed by President Obama to the President’s Committee on Arts and Humanities. NJM Insurance Company has served policyholders since 1913. The Company has worked steadily ever since to build a reputation for Service, Integrity, and Financial Stewardship. NJM extends its sincerest gratitude to the generations of policyholders who have allowed them to serve – and continue to serve – their insurance needs.